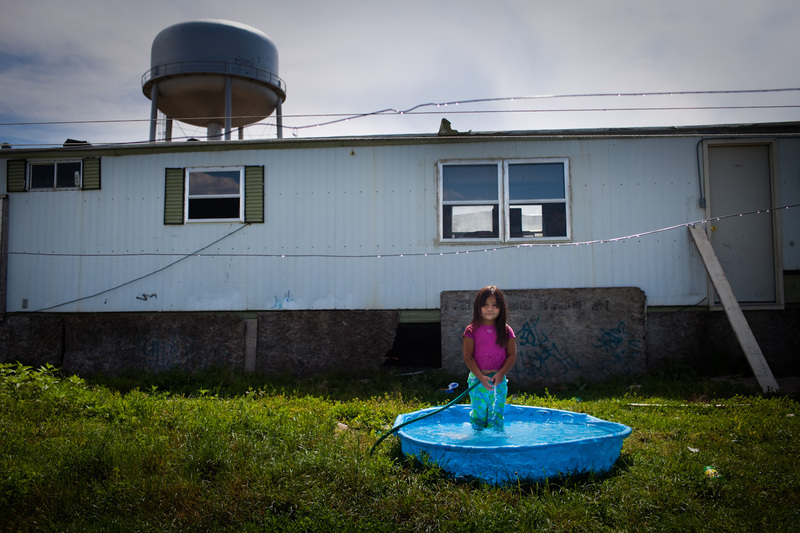 A young girl stands in front of her trailor in Pine Ridge, South Dakota. Pine Ridge Reservation, located in Shannon County, is considered the poorest county in the United States. Gang violence, unemployment, and alcoholism are major problems throughout the reservation.